Quiz: Do You Take the Right Form of CoQ10? Meditation, the practice of focusing your attention on one thing—your breath or a mental image or a phrase—has become quite popular. Classes have started to pop up in yoga studios, gyms and even office buildings across the country. So what’s all the hype about? Once associated with a solitary and monkish existence, the 2,500-year-old practice is becoming increasingly relevant in our busy, distracted world. The practice arose out of the teachings of Eastern religions such as Buddhism and Hinduism, but is easily adapted to fit a wide range of beliefs and needs. The most immediate benefit of meditation is the sense of calm it can bring to the mind. The repetitive nature of a meditation practice keeps the mind rooted in the present, which helps keep it from ruminating on the past (e.g., the stressful morning you had) or worrying about the future (e.g., “How will I ever complete that project on time?”). On a psychological level, meditation can help you become aware of your thought patterns—the unconscious, automatic ones which can result in negative and judgmental thinking. But research suggests that meditation may have benefits to the body too—studies have looked at the link between regular meditation and changes in the body, such as lowered blood pressure levels and lower levels of the stress hormone cortisol. 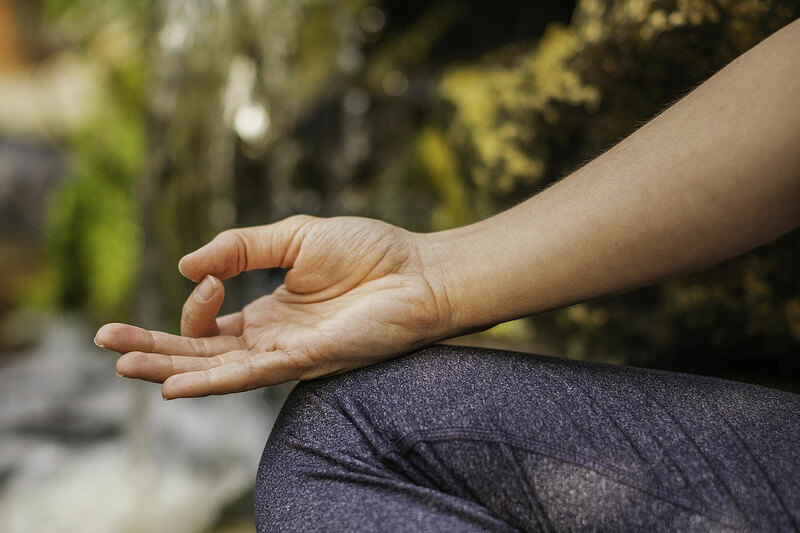 While more research is needed to learn its potential effects on the body, at the very least, regular meditation has been shown to be a terrific tool to help manage stress. 1. Transcendental Meditation (TM): TM uses a mantra (a repeated word or phrase) to focus the mind and achieve a deep state of relaxation. Thoughts that arise during TM are disregarded and the attention is brought back to the mantra. 2. Mindfulness Meditation (also called Insight Meditation or Vipassana): This type of meditation involves nonjudgmental observation of thoughts as you focus on your breath, an object or an image (seen or visualized). Mindfulness meditation has an element of inquiry—you investigate and compassionately “witness” whatever comes up. 3. Visualization Meditation: This technique combines meditation with the stress-management technique of mental imagery. It can be used to help you visualize reaching a goal, and is sometimes used for pain management, by visualizing a part of the body being healed through imagery and breath work. Longtime devotees can spend up to 20 to 45 minutes each day in meditation. However, shorter sessions are a great way to get started and to get used to the practice. You can start with 5- or 10-minute sessions each day and build up to 30-minute or longer periods over time. If you’re having trouble concentrating, you may want to start with a teacher, either in a class setting or one-on-one. If that’s not possible, an audio lesson is a good substitute. 1. Find a quiet spot that’s free from distractions. Sit on a cushion or a chair, or lie down if sitting for that length of time is uncomfortable. Just be sure to maintain a straight spine. 2. Choose a focal point. An object to gaze softly upon (a picture of a loved one, an icon, a flower), your breath, a soothing mental image such as a waterfall, or a mantra—maybe a repeated word like “love” or “om.” If you are not gazing at something, close your eyes. 3. Gently allow yourself to bring your full attention to your focal point. Your mind will naturally drift, thinking about what you must accomplish that day, a dream you had the night before and so on. Don’t be upset with yourself when you become distracted. Simply acknowledge the thought without judgment and try to return to your focal point. This process is deceptively simple. It may feel difficult, uncomfortable and even pointless at first. The mind is so conditioned to jump from thought to thought that training it to deliberately rest is a tall order. But practice is key: commit to a regular habit and you’ll likely see results over time—both on and off the meditation cushion. This article is for general educational purposes only and is not intended to be used as or substituted for medical advice. Always seek the advice of your physician or qualified health care provider with any questions about your health or a medical condition. Never disregard or delay seeking medical advice because of something you have read on the internet. Know someone who might benefit from this post? Are you taking the right form of CoQ10? Filled with valuable tips and helpful advice. Information on this site is for informational purposes only and is not a substitute for medical advice. Copyright © 2019 Kaneka North America LLC. All Rights Reserved.